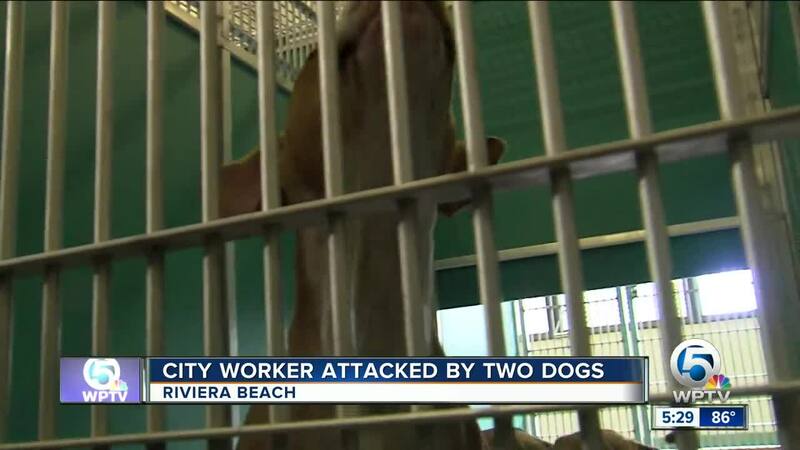 A Riviera Beach city worker had to be taken to the hospital Tuesday morning following a dog attack. According to a Palm Beach County Animal Care and Control spokesperson, the worker was bitten in several places around 9:50 a.m. at Broadway and Blue Heron Boulevard. This is near a Walgreens. The dogs were loose at the time. They ran up and attacked the city employee as he was driving in a golf cart. Some of the dog bites were described as severe. The victim, whose name has not been released, was taken to St. Mary's Medical Center. Animal Care and Control impounded the dogs and puppies that were with the dogs. 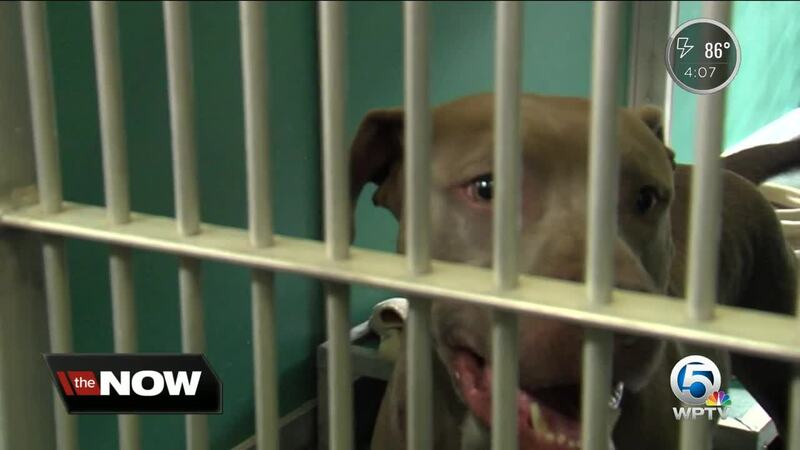 Riviera Beach officers at the scene initially said the dogs were pit bulls, but Palm Beach Animal Care and Control later said the dogs were pit bull mixes. The dogs will be quarantined for 10 days. Investigators will try and determine if they should be labeled dangerous.